Happy Summer! I cannot believe we are officially into the summer months. 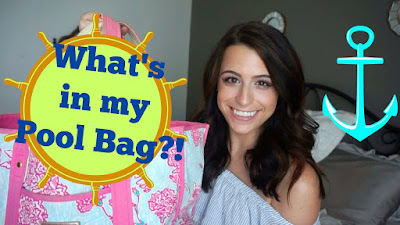 I thought I would return after battling a cold with a video showing you all of the things (crazy and practical) that I keep in my pool bag all summer long! What are your pool-going essentials? Cute idea! love that beach bag! cool video!! thanks for sharing! Love your video! Cute idea!! Happy summer to you Molly!! I love that beach bag!